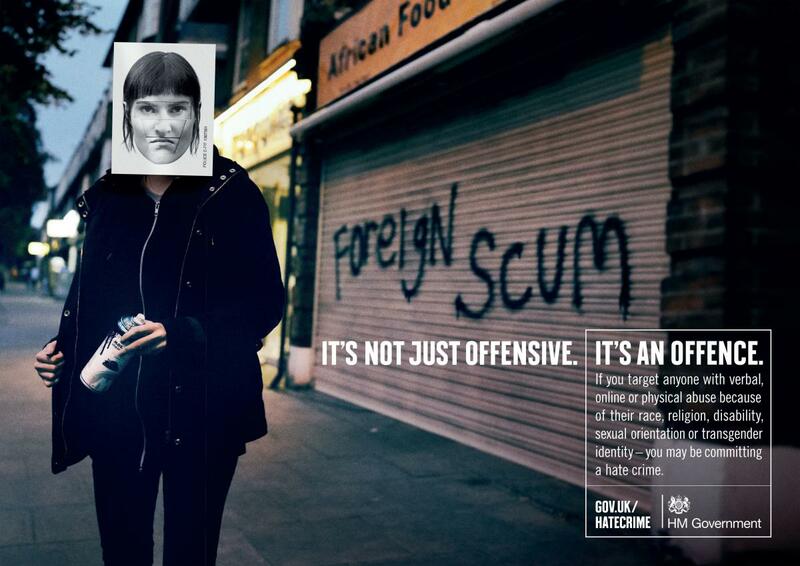 The Home Office has launched a new £1.5 million campaign to increase awareness of hate crimes. Ms Simkins told talkRADIO’s Matthew Wright: “Before people start complaining about the cost, I think we need to think about the cost to society of ignoring hate crime. “It would be way in excess of what is being spent on the campaign. “People are suffering every day and if we do not try to deal with it, then we are allowing – literally in some cases – people to get away with murder. Statistics published earlier in October revealed that, in 2017/18, there were 94,098 hate crime offences recorded by the police in England and Wales, an increase of 17% compared with the previous year. Ms Simkins defended the cost of the campaign saying there was a bigger cost to society if hate crimes continued. “A lot of hate crime is not necessarily against minorities, it is against people who are perceived to be different,” she said. Today we’re launching a new nationwide campaign aimed at increasing awareness and understanding of what constitutes a #HateCrime. “It is not about pandering to any pressure group. Obviously we would want to see more of all crimes being solved and particularly concerns around sexual assault. “But about this money being spent on hate crime - if it wasn’t spent on hate crime, would it change anything else? “We can’t ignore something that is damaging. People call it name-calling but if it is on the street it is a Public Order Offence and it will affect all of us. “Do you we want to hear those things on our streets? “What we do know is the impact of regular and persistent name –calling changes their lives. “It affects their mental health, and it affects their ability to contribute to society. It also affects family relationships so there is a hidden cost to all of this. “We do know that if you experience hate crime on a regular basis that it will affect your mental health. Videos and posters are used to make clear that directing abuse at someone because of their religion, race, sexual orientation, transgender identity or disability is a criminal offence.